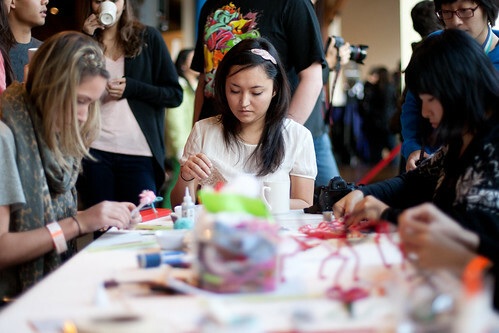 On November 4th, hundreds of creatives gathered at the Roundhouse Community Centre for CREATIVEMIX 2010. 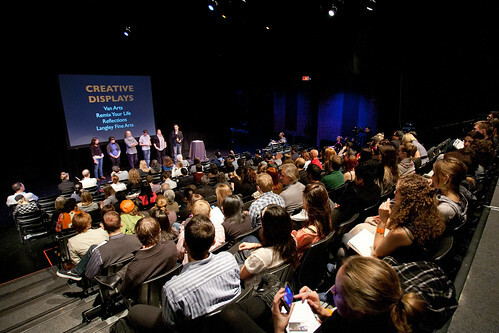 Only in its second year, CREATIVEMIX filled the house and brought in some of Vancouver’s greatest talent to talk about idea making and collaboration. 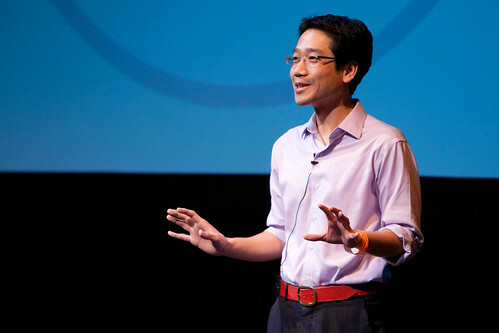 Mike Shieh, founder of Take Root presented “The Hyphen-States of Creativity” – a talk on how the act of creation is about not only connecting different ideas, but also bridging seemingly opposite states. 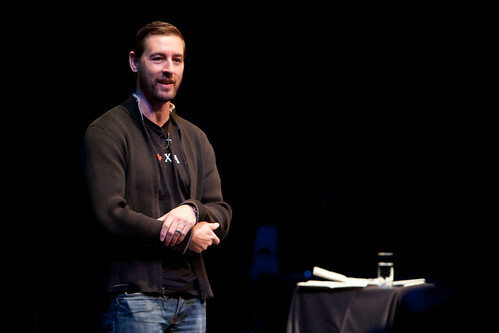 Dylan Brown, creative director of Pixar Canada presented “Creating a Creative Environment”. 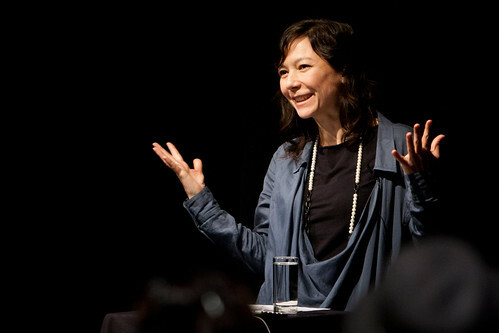 Natalie Purschwitz, presented, “Makeshift: Using Limits to Expand Possibility” – an illustration of how limitations can create things immediate and meaningful. Her own experiment, Make Shift – a one-year project where Natalia would only wear clothing she made herself, is a testament to the point. 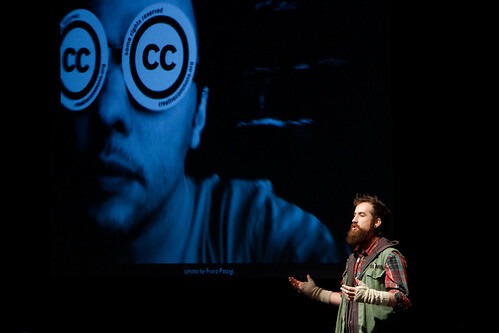 Kris Krug presented on creativity within social media, and how open sharing via Creative Commons licensing encourages growth and discovery. Vida Jurcic, Nigel Yonge, and Sean Carter from Hangar 18 Creative Group presented “How Three Nuts Made A Tree” – a look at how great things can happen when you work together. 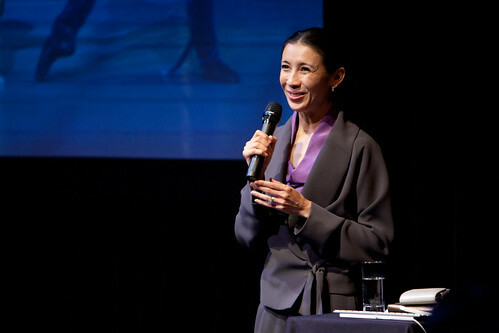 Chan Hon Goh from the Goh Ballet Academy gave insight on what it takes to be ballerina, and how dancers must expand their skill sets to continue life after their performance careers. Possibly the most graceful speaker I’ve ever heard. 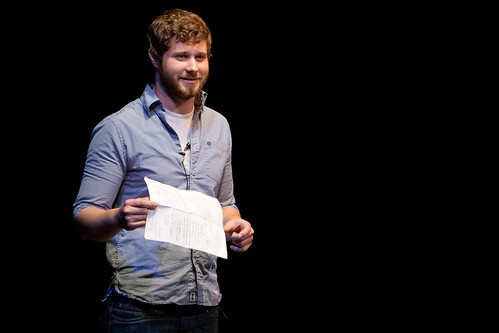 In closing, singer-songwriter Dan Mangan presented “Artist/Entrepreneur: The Many Hats Of People Who Mean It” – a recounting of his musical journey and the importance of connecting with other creatives. 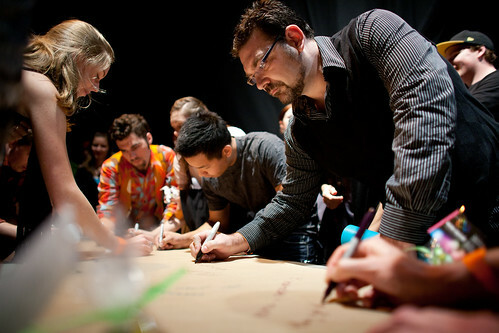 Creative workshops were held between speakers. 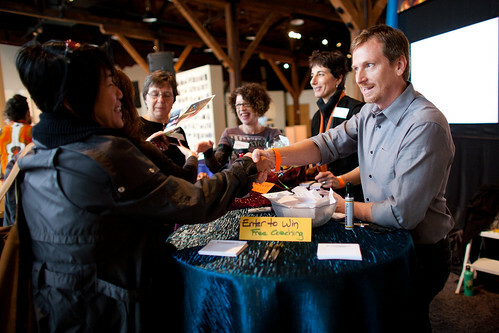 Here, conference attendees discussed solutions for other people’s problems, lead Nicole Sheldrake from the Vancouver Innovation Camp. The team from Emotus Operandi hosted the second workshop, helping attendees learn how to balance vision with action to achieve their goals. Caught an animation student fine tuning a stop-motion video. 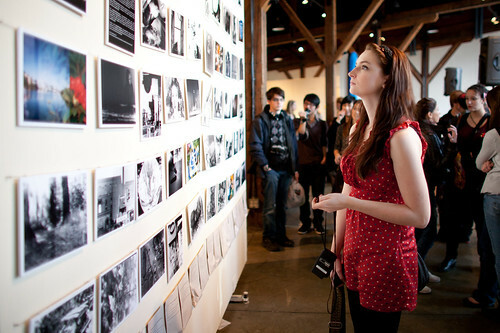 Students gathered around a dual-exposure photo mural; each photo was a composite of two photos – one photo was taken by a student, and one by an industry professional. 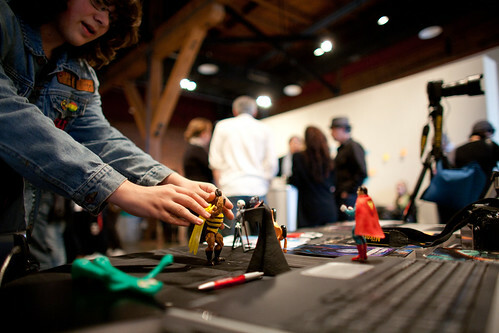 Kim Werker set up a table for her Mighty Ugly project, where people made the ugliest things possible. A clever creative release, and surprisingly hard to do. Wouldn’t be a creative conference without music. 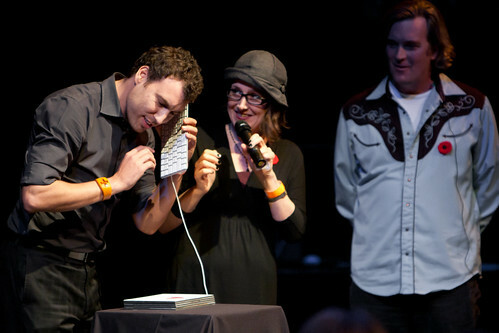 Steve Wright from Sound and Music Workshops demonstrates how audio can be controlled by motion. 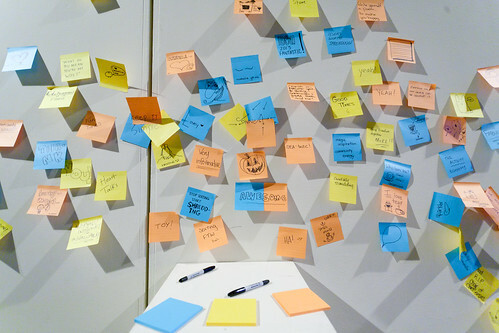 Attendees had an entire wall full of thoughts on the conference; in short, it was awesome. 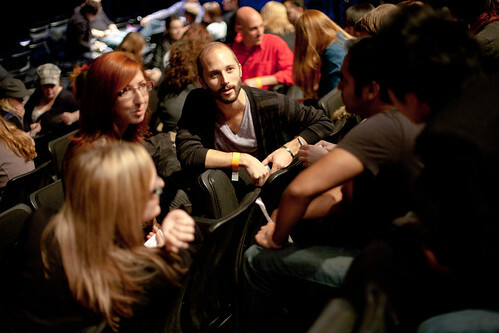 Looking for more photos from CREATIVEMIX 2010? 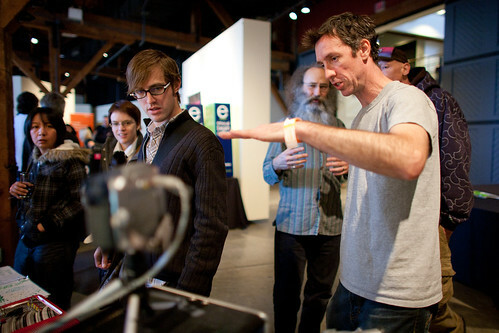 Visit their Vimeo account for the slideshow or my Flickr set for the individual shots. You like? Stay in touch! Find me on Facebook and Twitter, or book me for your next event.